One of the books I read towards my Doula certification is “Tapping The Power Within” by Iyanla Vanzant. I chose this book because I am a fan of Iyanla, and based off the title, I knew this book would add to my new career as a Doula, but more importantly to my life as a whole. The most personally influential concept addressed in this book, was that of alignment. Iyanla writes, “When we are in alignment, we can recognize and accept the lessons that will lead us to a fuller, more peace-filled, and more purposeful sense of living.” The idea of alignment has been increasing present in my life over the past few months. In December, I attended a three week yoga workshop and that is where I first heard the word, in this context. The workshop discussed how being aligned with our higher purpose increases the flow of our lives. When we aren’t aligned, we find ourselves feeling unsatisfied and displeased. In January I read “A Return To Love” by Marianne Williamson and I saw her speak later that month. 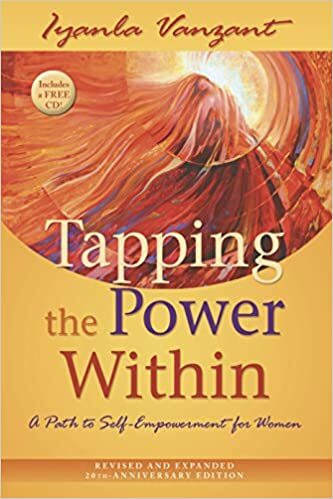 The part of her seminar that resonated with me the most was when she said “When you are aligned, you cannot separate your spiritual self from your personal or professional self.” This truly spoke to me, as it also did while reading “Tapping The Power Within”. For the past 10 years, I have been employed by an agency that serves the developmentally disabled population. It is a frustrating job for someone like me, because I feel like administration, overseeing agencies and bureaucracy in general, held me back from implementing change in the lives of the people I served. My initial disalignment was the catalyst for finding my higher purpose. Through many conversations with myself, family and God I came to find that I am truly served by serving other women and their babies. This realization led me to people who were and/or knew Doulas. I was overwhelmed with the thought that I could be fully aligned in my life’s purpose and create a career out of it, at the same time! “Although thoughts govern how we respond throughout life, they may not be in alignment with the spiritual purpose or meaning of the experience,” Iyanla writes. As a doula, I feel like my spirit is at ease, because every aspect of my being is working together to serve the world and to equally serve myself.